The Louisiana Department of Transportation and Development (DOTD), advises the public that on Thursday April 30, 2015, starting at 7:00 A.M. until work is complete, La 1189 (Acton Road) will be closed from the intersection of La. 1 to its intersection with La. 115. This section of roadway will be receiving an asphalt overlay. Weather permitting, it is anticipated that this work will take up to 2 days to complete. 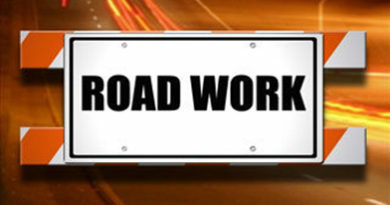 At the end of each work day the roadway will be reopened to normal traffic. The road closure will be from the junction of La. 1 and La. 1189 to the junction of La. 115 and La 1189. The detour will be as follows: From the junction of La 1189 proceed north along La 1 for 0.56 miles to La 115. Proceed west along La 115 for 0.37 miles to the junction of La 1189. This will take you around the road closure. From the intersection of La 1189 and La 115 proceed east along La 115 for 0.37 miles to the junction of La 1 and La 115. Turn right onto La 1 and proceed south along La 1 for 0.56 miles to the junction of La 1 and La 1189. This will bring you around the detour area. All side roads adjoining La 1189 will also be closed at their intersection with La 1189. Call (318) 561-5100 or 511 or visit www.511LA.org for additional information. Motorists may also monitor the LA DOTD website @ www.dotd.la.gov, the DOTD Facebook page or the LA DOTD Twitter page, @Alex_Traffic for further information.